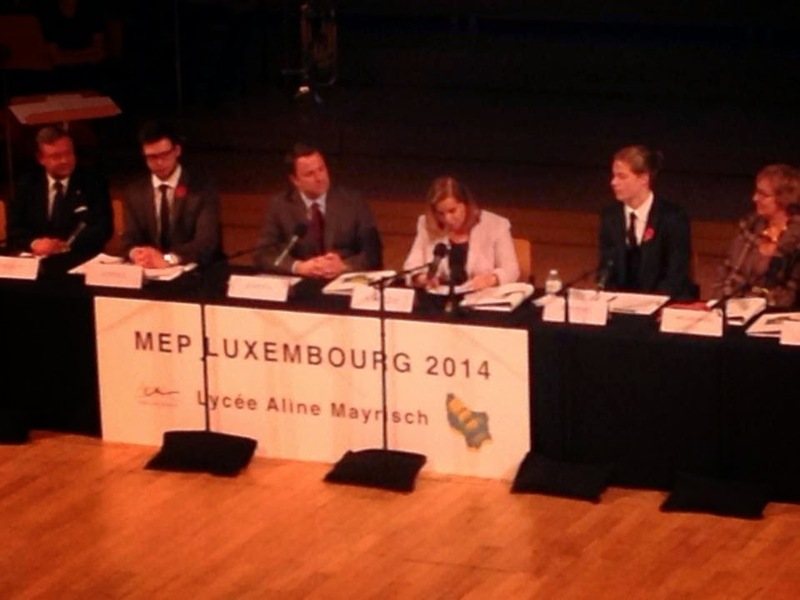 This morning at the Conservatoire de la Ville de Luxembourg, Grand Duchess Maria-Teresa attended the opening ceremony of the Model European Parliament (MEP). The MEP is an international simulation of the working of the European Parliament for students aged 16 to 19. Its aim is to give young people an insight into the workings of the European Parliament and raise their awareness of European citizenship. During the opening ceremony also attended by Prime Minister Xavier Bettel and Claude Meisch, Minister for Children and Youth, Higher Education and Research, as well as National Education, the Grand Duchess gave a speech about the concept of commitment in today's world. This year around 175 students from the 28 member states of the European Union take part in the Model European Parliament. More pictures on the Model European Parliament's Facebook and at the cour.